Back before school finished for 2012 I had these great ideas for my Shop. 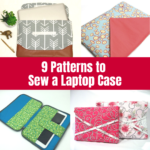 I’d sew a bunch more pencil cases and coin purses – perfect for kids to take their lunch money. I’d add some chair bags because mine are bright and big and sturdy, and every year my kids have had to have one so I figure other kids need them too. I’d add some camera straps because I’ve had some requests and they are cool too. Maybe start thinking about some inspired things for Valentines Day. Did any of this happen during the holidays? Well, I did make 30 plus pencil cases, most of them for a custom order. I did make two chair bags for my friend’s kids – last week! But, alas, the rest did not happen. My kids went back to school yesterday. The holidays are over. Time to get going! And sewing! Newly listed in the shop are 3 different chair bags – for those of you still on holidays and getting ready to go back to school in a week or two. Yesterday I made some new pencil cases too so I’ll have them listed in the Shop as soon as I edit the photos. Plus I received a bundle of fabric from Wrapped in Fabric that I ordered last week so I’ll have to sew some of that up as well. 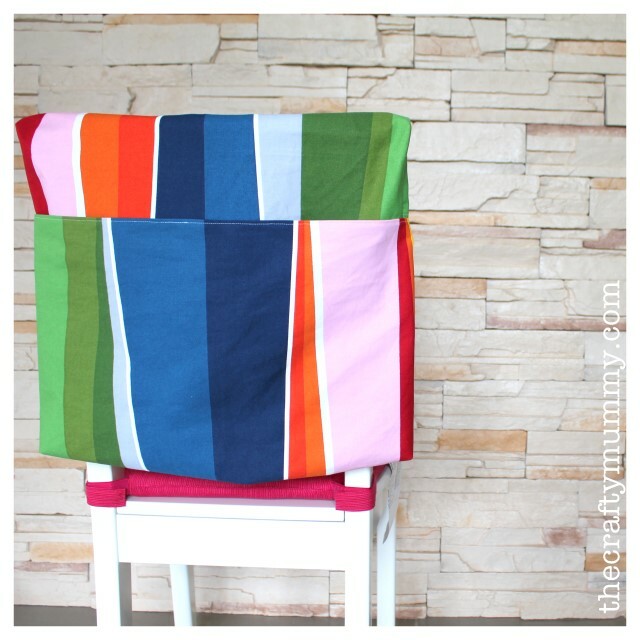 If you’re in the market for a chair bag but prefer to make our own, you can use my Chair Bag Tutorial. Note: Please don’t sell items made from my tutorial. It is for personal use only. Thank you so much for posting your pattern. Having brought the required chair bag from the school supplier, the bag was of a really poor quality and just couldn’t do the job. Within the first few week of the school year the seams were unravelling and we were finding all my daughters books on the floor of the class room. The bag unstitched again this week…. so enough was enough…. out came the sewing machine and a quick visit to the craft shop, within 1 hr the new replacement chair bag was made. You have saved me both money…. and time…. So happy to help, Sara! It’s great to know that someone has found my tutorial useful! First of all: what a crafty person you are! … and how I would love to meet you. I enjoyed it so much to read and see your web page. I am a (very) proud South African grandma of the Little Miss Mily who is going to grade R to Samford State School next year. Her parents asked me to make her a chair bag and sent me the link to your tutorial. I enjoyed making it so much and thought how lovely that you have the instructions online for us. I am 99% finished with the bag but was wondering what is the finished length of the bag when hanging on the chair and, specifically, how long is the overlap that goes over the top of the chairback? I have the overlap 20cm as this is what I understood from the tutorial (step 4) but now it seems to be too long and I was wondering whether the overlap should only be 10cm? Thank you so much for your lovely email! I’m so glad that my tutorial has been helpful. You have picked up the little measuring mistake though – I must put in a clearer note about it! My first chair bag I folded the top flap down too far and it was tricky to sew the seams with the flaps overlapping. So the next time I just slid the layers sideways a little so that there was no overlap. 10cm will be plenty for it to hang on the chair properly – I have made a couple more since then and tested them! So yes, just fold the top down that little bit less and it will work just fine. I know she will love having something that Grandma made especially for school!